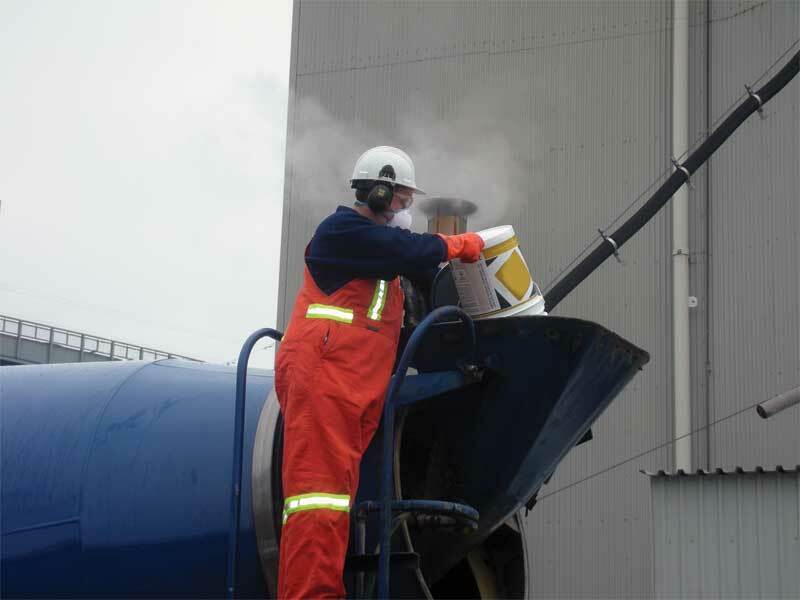 A worker pours a crystalline admixture product into a concrete truck. Unfortunately, these methods have proven to be less effective than desired. 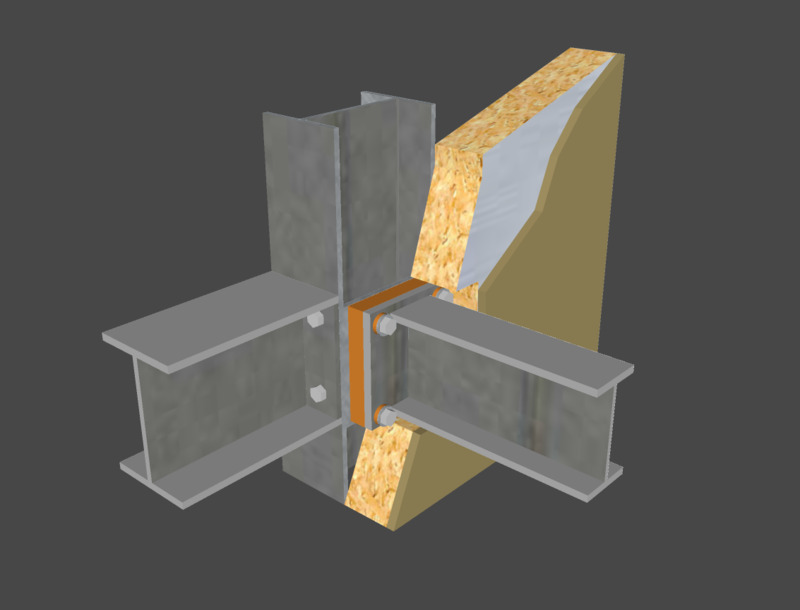 Dense concrete cover over reinforcing steel leaves the material vulnerable to cracking and other issues. Corrosion inhibitors provide only temporary protection. Cathodic protection is expensive, and repair procedures have short service lives and must be continuously re-implemented. As mentioned, water is one of the three elements required for corrosion to occur. It acts as a carrier for chloride ions—the leading cause of deterioration of the passive layer. 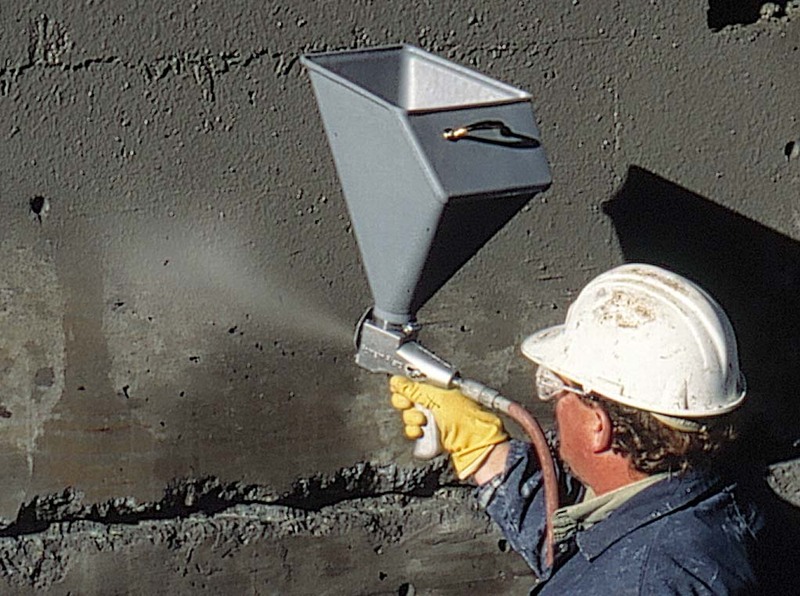 Hence, the critical factor in concrete corrosion is water penetration. It is important to use concrete with low permeability, and to use an appropriate amount of concrete cover for the application. Fluid- and surface-applied (i.e. 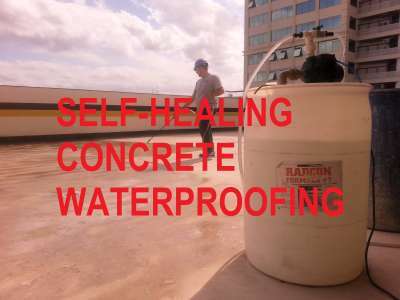 sheet) membranes can form a barrier against water penetration on the outside of the concrete. However, surface-applied waterproofing membranes have limitations, and are vulnerable to puncture damage and failure. Moving away from the tradition, success has been attained by replacing the need for an external membrane with an internal one. 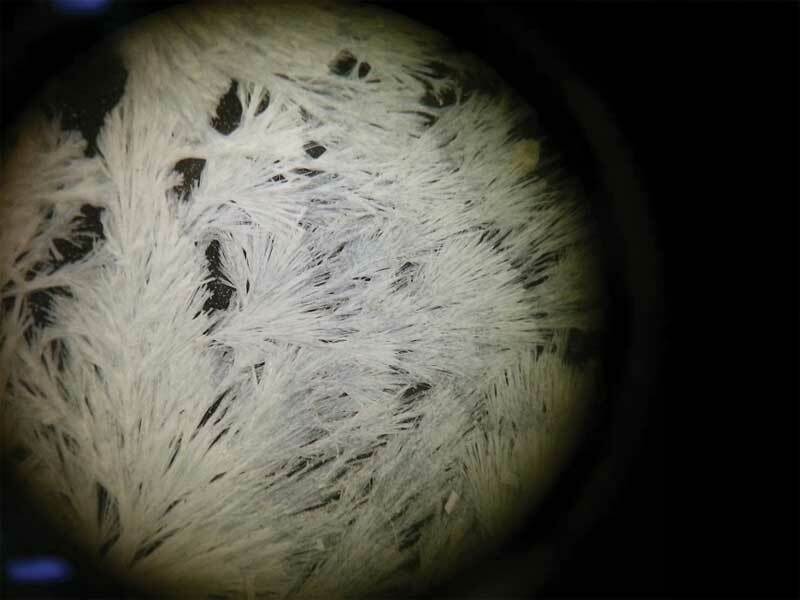 Crystals growing in concrete under a microscope. With this method, an integral crystalline waterproofing admixture is included with the concrete mix at batching or added directly to the ready-mix truck, eliminating the need to use a sheet or fluid membrane. It is effective in reducing concrete’s permeability without the costly materials, labor, or construction time necessary with external methods. self-sealing cracks and micro-cracks that form later in the structure’s life. 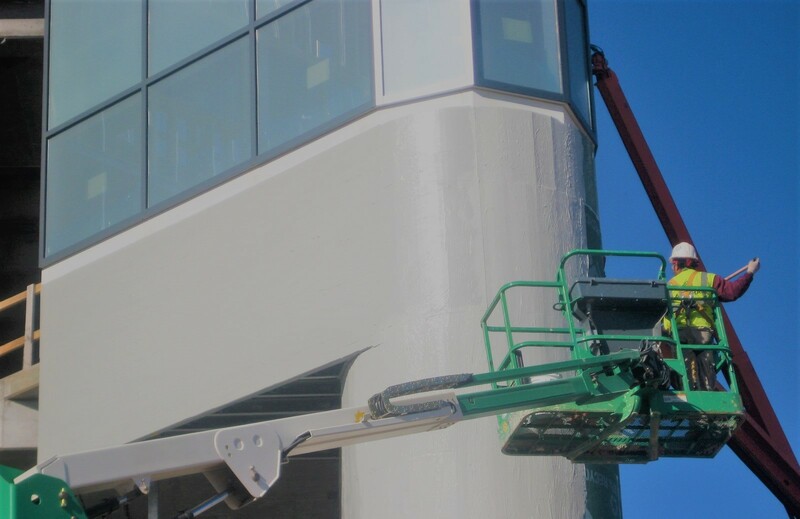 The self-sealing method has proven effective through successful implementation in various structures and climates around the world. Crystalline chemicals facilitate a reaction that causes long, narrow crystals to form during the carbonation process. These crystals fill the pores, capillaries, and hairline cracks of the concrete mass. As long as moisture remains present, crystals continue to grow throughout the concrete. Once it has dried, the crystalline chemicals sit dormant until new cracks form (through loading or exposure) and additional water begins to penetrate the material, at which point crystallization begins again. 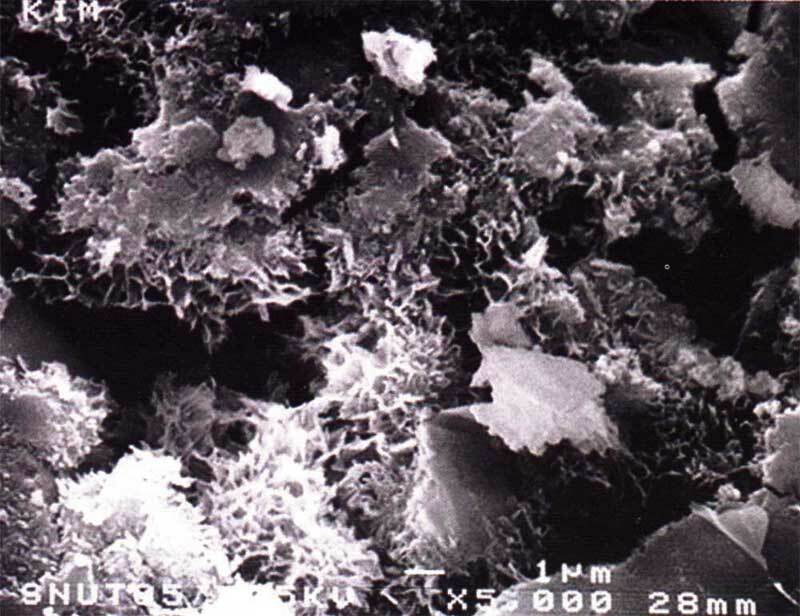 Magnified concrete featuring crystalline technology. swelling of the cement matrix. One example of waterproofing with crystalline technology in a high-performance environment is the One57 skyscraper in New York City. Designed by Christian de Portzamparc, One57 was the tallest residential building in the city at the time of its 2014 completion at 306 m (1005 ft). A critical issue for a building of this size is the difficulty of fighting fire in the upper floors of the building, so a fire-suppression system is typically installed. However, these systems require storage of very large volumes of water, meaning leaks could become an issue. A crystalline membrane was used to waterproof One57’s large concrete tank on the 75th floor, which sits on a suspended slab. This eliminated typical concerns relevant to these tanks, which are often made of steel (which corrodes), wood (which decays over time), or concrete reliant on an external membrane that can tear. ICWs can control corrosion in reinforced concrete by impeding the development of corrosive conditions caused by moisture flow. 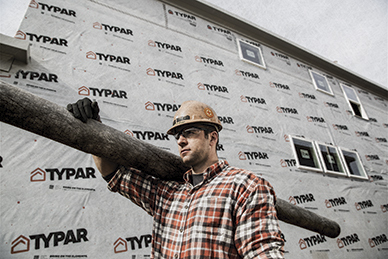 The result is a structure that has increased durability, a longer lifespan, and lower maintenance costs over its service life—all essential for sustainable building practices. Kris Till is a business executive with 18 years of progressive experience, specializing in the delivery of technical training, new product development, consultative sales, and client relationship management. At Kryton International, Till is responsible for all aspects of product strategy, from research and development through launch, positioning, promotion, pricing, and training. He can be reached via e-mail at ktill@kryton.com.